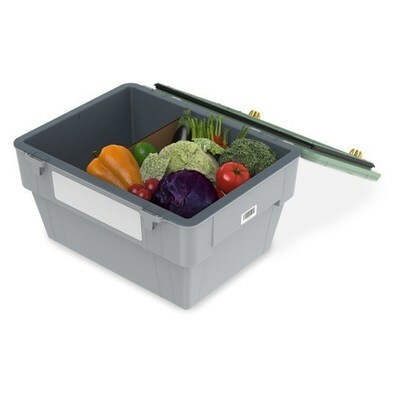 FORT COLLINS, Colo., April 4, 2019 /PRNewswire/ -- Meal kit and direct-to-consumer perishable shipments are a multi-billion-dollar industry in the U.S. The vast majority of these shipments are sent in corrugated cardboard boxes, which has created food safety and packaging waste hurdles for the industry and its consumers. 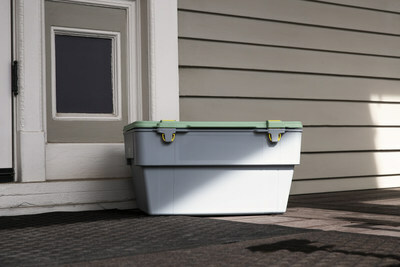 Announced today at Home Delivery World, Liviri is poised to change the home delivery shipment model with high-performance, reusable shipping solutions. Liviri Fresh can be reused up to 75 times, lessening the recycling burden at home and eliminating a significant source of single-use corrugated cardboard and denim insulation, which clogs up landfills. Liviri Fresh is a durable, insulated, reusable shipping container sized perfectly for meal kits and perishables like meat, seafood, produce, juices and more. "Meal kits have become increasingly popular in the United States, but we've done extensive research that shows consumers really struggle with the experience when the box reaches them," said Liviri CEO Jim Parke. "Proteins are difficult to keep in the safe temperature zone. Produce is wilted. The box is damaged. And even if it all arrives in good shape, the consumer is responsible for breaking down and discarding or recycling a lot of packaging. It's not an efficient or enjoyable experience, so we set out to reimagine the box." A Rutgers-Tennessee State University study in 2017 concluded nearly 47 percent of meal kits arrived with surface temperatures above 40 degrees, rendering them unsafe to consume.1 For perishable shipping companies, this means refunded shipments and lost customers. For the recipient, this means lost meals and more nights out, scrambling for a quick backup plan. Liviri solves both of these problems with its innovative, reusable shipping solution. Internal testing, beyond "extreme" industry standards3, proved Liviri Fresh provides over 80 percent better insulation performance than the leading single-use packaging – corrugated cardboard with 1.5 inches of denim insulation. Foods stay in the safe temperature zone longer, ensuring fewer returns and cancelled orders. Liviri Fresh can be reused up to 75 times, lessening the recycling burden at home and eliminating a significant source of single-use corrugated cardboard and denim insulation, which clogs up landfills. "We've spent two years developing the Liviri line of products and Liviri Fresh significantly outpaces the most popular packaging out there," said Parke. "We're bringing a reusable solution to the home delivery model that will help retain customers, improve the at-home experience and lessen the burden on our landfills. That circular mindset delivers a win for everyone." After a shipment is received, consumers simply take their perishables out of the box, close the lid and attach the included return shipping label for pickup and return via FedEx or another shipping service. Liviri Fresh is delivered to a sanitization facility to be cleaned up and readied for its next journey. Then it's off to another home, apartment or office and the cycle repeats, eliminating up to 75 single-use cardboard boxes in its lifetime. Liviri provides e-delivery industry leaders an adaptable, exceedingly protective container to safely ship goods, including temperature-sensitive perishables. It paves the way for a more efficient, sustainable service model that carefully weighs our impacts on the planet, and it prioritizes consumer satisfaction thanks to its waste-reducing convenience and easy return shipping label process. For more information, visit livirisolutions.com. ©2019 Otter Products, LLC. All rights reserved. The Liviri name and Liviri trademarks are the property of Otter Products, LLC, registered in the U.S. and other countries. All other trademarks are the property of their respective owners.